Anna Wintour Wants to Dress More Like Meghan MarkleThe duchess has made her rethink her uniform. It Was Anna Wintour Who First Called Lauren Conrad ‘Girl Who Didn’t Go to Paris’Scathing. Anna Wintour Reveals What You Should Actually Wear to a Job InterviewThe opposite of what you might think. Anna Wintour Had a Surprising Look-alike at Victoria BeckhamHarper Beckham clearly gets the AWOK. The Best-est Party Looks of the WeekOne awe-inspiring look from every fête that mattered. When Anna Wintour Opens Her RolodexAt 15, the CFDA/Vogue Fashion Fund can give young designers a boost – if they’re lucky. Michael Kors and Anna Wintour Honor Those With Golden HeartsAt the annual God’s Love We Deliver fundraising event. Everybody Thought Anna Wintour Left Marc JacobsThe most dramatic thing to happen at New York Fashion Week. Another Vogue Editor Exits Condé Nast, This Time for SnapchatTurns out that the best job for a fashion editor is heading up fashion partnerships for a social-media platform. Roger Federer’s Uniqlo Deal Is Anna Wintour ApprovedThe tennis player on what to expect from his ten-year sponsorship deal with Uniqlo. Beyoncé, Anna Wintour, and What We Want to BelieveThe truth is in our “indefinite” capacity for fashion rumors. We Are Dead But Anna Wintour Is ImmortalCondé Nast, we literally cannot. Beyoncé Reportedly Given ‘Unprecedented Control’ Over Vogue’s September CoverFor the first time, a black photographer was hired. We Regret to Inform You That Anna Wintour Is Now a HypebeastThe Vogue editor-in-chief wears Nike sneakers. Finally, We Know More About Anna Wintour’s Daughter’s WeddingThere was a no-social-media rule, but that can’t stop the leaks. Anna Wintour’s Daughter Got Married This Weekend and We Weren’t InvitedBee Shaffer and Francesco Carrozzini banned all social media. Turns Out Anna Wintour Is a Harry Styles FanShe showed up at his concert in New York last night. New Azealia Banks Video Expands On the Empty Warehouse GenreWe’ve officially entered a Warehouse Period. 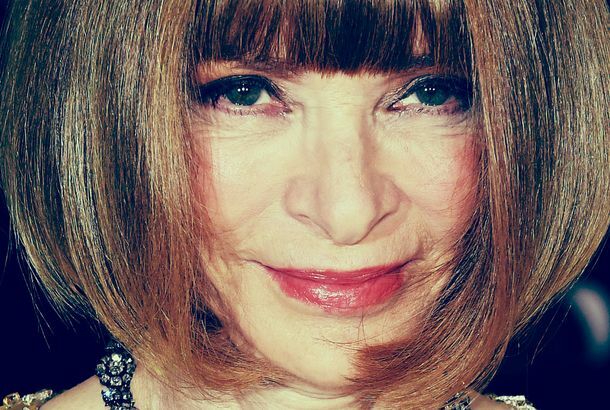 Who Is Anna Wintour Asking Us to Forgive in Her Editor’s Letter?This is deeper than it seems. 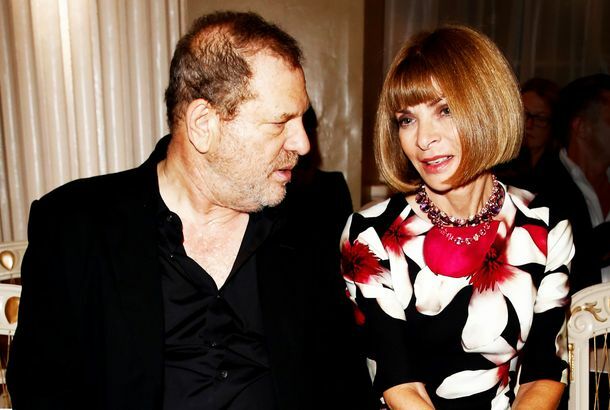 How Anna Wintour Orchestrated Marchesa’s Post-Weinstein ComebackShe’s “firmly convinced” Georgina Chapman is innocent. 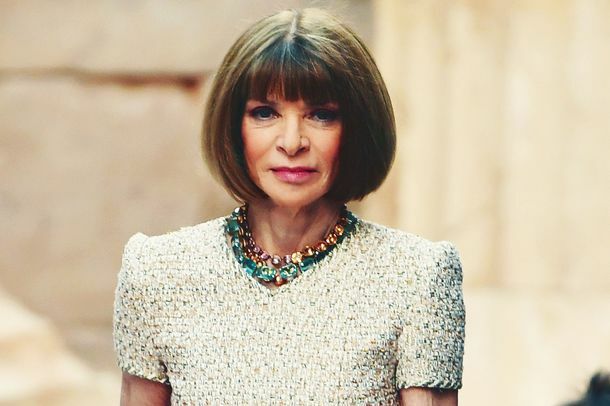 This Video of Anna Wintour Set to ‘Gangsta’s Paradise’ Will Burn Into Your BrainIt happened at the Met Gala, of course. Anna Wintour Closely Followed the Met Gala’s Catholic ThemeIs that a diamond rosary around her neck? The Best Celebrity Drama From the Met Gala Throughout the YearsWhat will 2018 have in store for us? Azealia Banks Released a New Song Called ‘Anna Wintour’Does it get the AWOK? Anna Wintour Has Been Immortalized As a Sock PuppetStella McCartney is giving the people what we didn’t even know we wanted. A Certain Royal Graced London Fashion Week With Her Presence TodayAnd sat next to Anna Wintour. What Did Anna Wintour and Cardi B Talk About at Fashion Week?The pair sat next to each other at Alexander Wang. Let Anna Wintour Eat CarbsThe Vogue editor was spotted asking for bread. Anna Wintour Denies Asking Trump to Make Her U.K. AmbassadorThey’re “laughably preposterous,” says her representative. 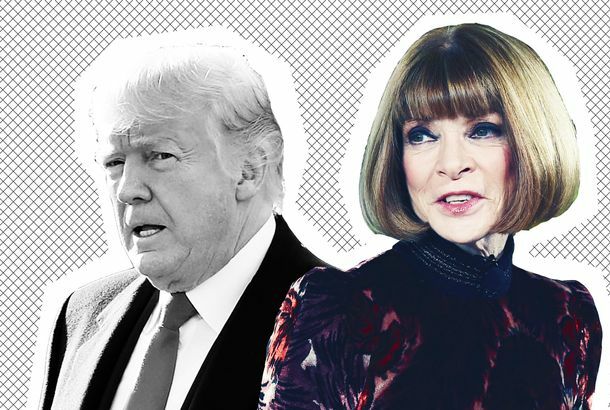 Here’s What Donald Trump Tweeted About Anna Wintour and Vanity FairThe president is lashing out over a Hillary Clinton video. Miranda Priestly and Anna Wintour Finally Met IRLMeryl Streep covers Vogue’s special issue. The Met Gala 2018 Theme Has Been RevealedDid not see this one coming. James Corden and Anna Wintour’s Unexpected Friendship: A TimelineFrom the runway to the The Late Late Show, Corden and Wintour are basically BFFs. Anna Wintour Would Rather Eat Bacon-Wrapped Pizza Than Rank DesignersWhile on The Late Late Show With James Corden. Weinstein and Fashion, a Special Relationship1999 was the year Miramax won ten Oscars. It was also the dawn of the celebrity fashion cover. What 10 People Wore to Their Interviews With Anna WintourThey all got the AWOK. Bravo Abandoning Feud-Style Show About Anna Wintour and Tina BrownBooooooo. This Is the Ultimate Sign of Endorsement From Anna WintourMichael Kors is one lucky designer. Chance the Rapper and a Bunch of Dogs Partied This WeekPlus: Anna Wintour, Rashida Jones, Danielle Haim. Anna Wintour Has a Secret Code of ApprovalEvery staffer waits for it. For $3,000, You Can Attend Vogue’s First ConferenceFeaturing Marc Jacobs, Stella McCartney, and John Galliano. 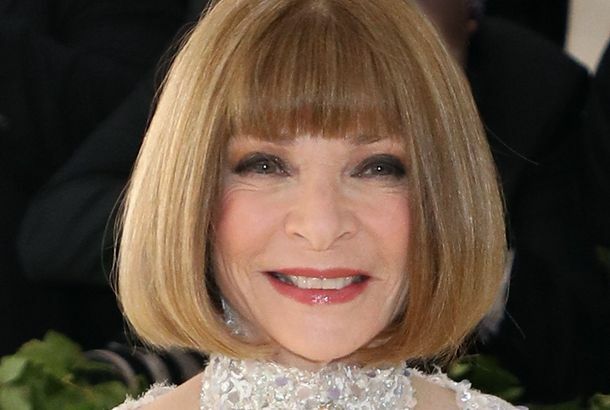 Anna Wintour Is Your New Favorite Backup DancerWatch her dance to Katy Perry at the Met Gala.